The Cameroon Commonwealth Games team has rejected suggestions it has left Australia after eight of its athletes fled the competition and are now missing. A team spokesman said five boxers and three weightlifters had left the athletes village. 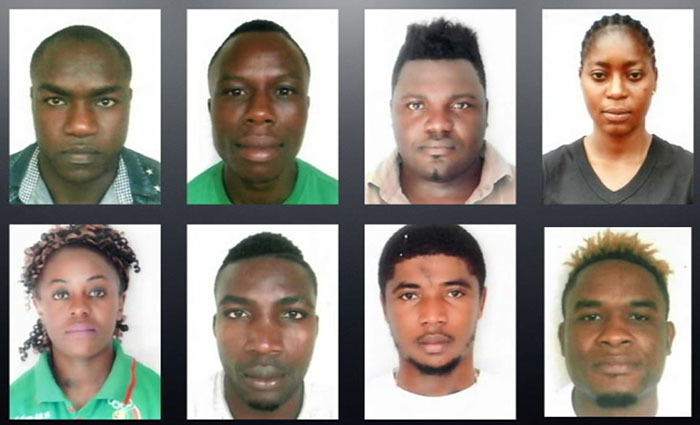 Police said none of them had been reported as missing and police were not searching for any athletes. Commonwealth Games officials said the competitors had not breached their visas and were free to move around Australia. They said their absence was a matter for the Cameroon team. A team spokesman said this morning 12 basketballers and two weight lifters who had finished their competitions had flown home, but others remained on the Gold Coast to compete in the wrestling events today and in boxing tomorrow. He said Cameroon would be at the closing ceremony on Sunday night. A statement on Wednesday from the Chef de Mission from Team Cameroon, Victor Agbor Nso, said the eight athletes had left the Games Village in three waves. Three athletes left the village on the night of April 8, two others were declared missing on April 9, and three more had left their rooms on the night of April 10. Six of the athletes had finished competing in their respective competitions while the other two — boxers Ndzie Tchoyi Christian and Yombo Ulrich — left without competing. Commonwealth Games Organising Committee chairman Peter Beattie said the athletes should stick to the visa rules. "The rules and requirements the Australian Government has," Mr Beattie said. "We encourage people to get a visa, come here and compete, stay a little while after, spend some money in this country and then go home. "Border security is aware of it — these people are still within their visa — but at the end of the day I would encourage them to return to the village. "We anticipated this happening — there's a system in place to deal with it and we'll get on with organising the event." Deputy Premier Jackie Trad said she hoped the athletes do not try to overstay their visas. "Clearly it's not a great thing to have happened," she said. "I just hope they're out enjoying the delights of Queensland for a little while and will do the right thing and come back to the Games and go home appropriately."